Oh, winter. It’s the season you either love or hate, with snowy days that will make you want to build an igloo like a kid all over again or bundle up with a cup of hot chocolate by the fire and avoid the bitter cold. Right now, we’re all daydreaming of escaping to a tropical island and swimming in the waves instead of stepping in slush puddles, but with a little winter fabric help, facing the cold will be a bit more bearable and keep your head up during the winter blues. Depending on where you live, the winter temperatures can be completely different. If you’re from the northwest or northeast, odds are a blizzard can come your way at any moment during the winter time. And if you’re from the south, you might still be able to get away with wearing shorts and make all northerners envious as you post beach pictures to your social media accounts. 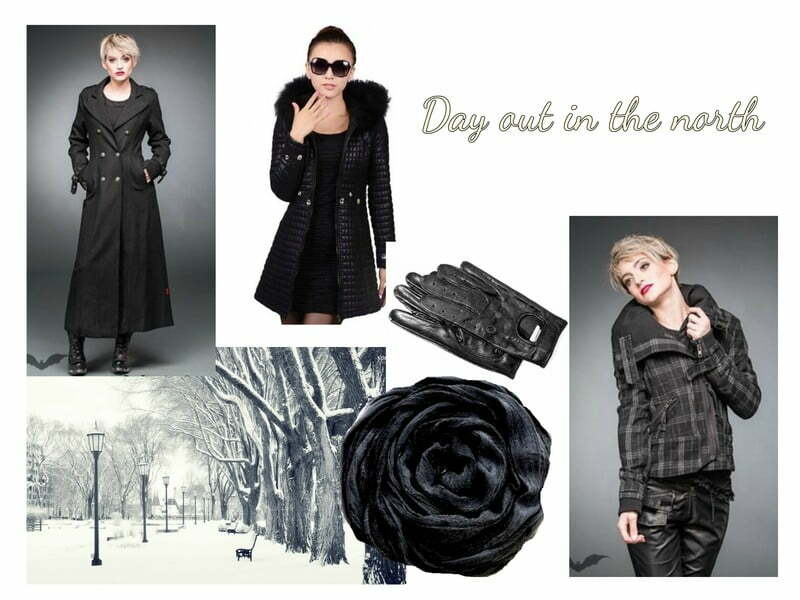 The following are perfect examples of what winter fabrics to wear for various occasions, wherever you live. Although the winter temperatures have been all over the place this season, you can bet it’s usually pretty ​cold this time of year, and when I say “pretty cold” I mean you’ll need about five layers of clothing just to be comfortable. These outfit examples are perfect for keeping you warm for a day out, whether you’re exploring a city, going to the park, or doing whatever other winter activities you love. Fabrics to keep a look out for include wool, fur, fleece, and flannel. Wool is a natural fiber that is strong, warm, breathable, and easy to care for. Fur is another natural fiber that is one of the oldest materials known to be used to keep people warm during the winter months. If you opt to not wear real fur, there are more and more faux fur alternatives on the market now than there ever have been. If you choose to go for faux fur, be sure to invest in a piece and avoid buying products that are very inexpensive, as these are usually poorly made and can tear easily. 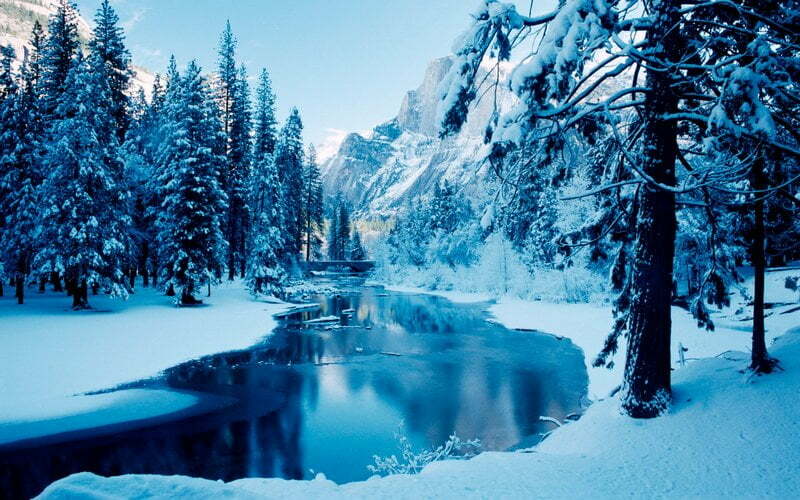 Fleece and flannel are other synthetic fibers that people use in winter. Fleece is a great layer to add to your outfit to insulate your warmth and keep you cozy. Fleece is soft and lightweight, so you can stay warm without putting on so many layers that you look like Randy from A Christmas Story. Flannel is a great fabric for layering over long sleeve shirts to keep your outfit put together and comfortable. 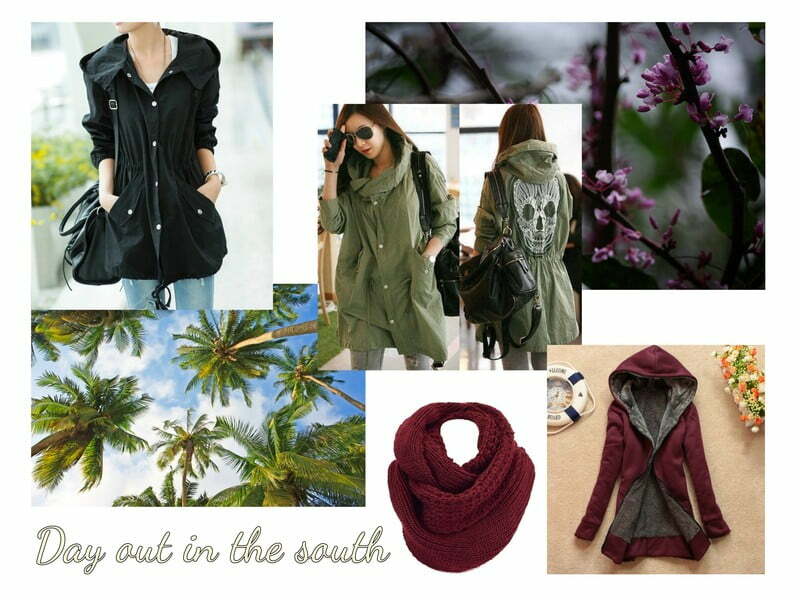 For a day out in the south, the temperatures are more moderate and you won’t need as many layers. If you are t​raveling south during the winter,​the key is to go for less, lighter layers. Perfect fabrics in the south to grab are cotton, linen, polyester, and fleece. Cotton and linen are great fabrics for absorbing moisture for days out when you’re particularly active or it’s warmer than usual. Polyester is a strongly woven fabric that keeps moisture out, which is great for days where it is humid or rainy. If it is a bit chilly, adding a layer of fleece is as great of an option in the south as it is in the north. 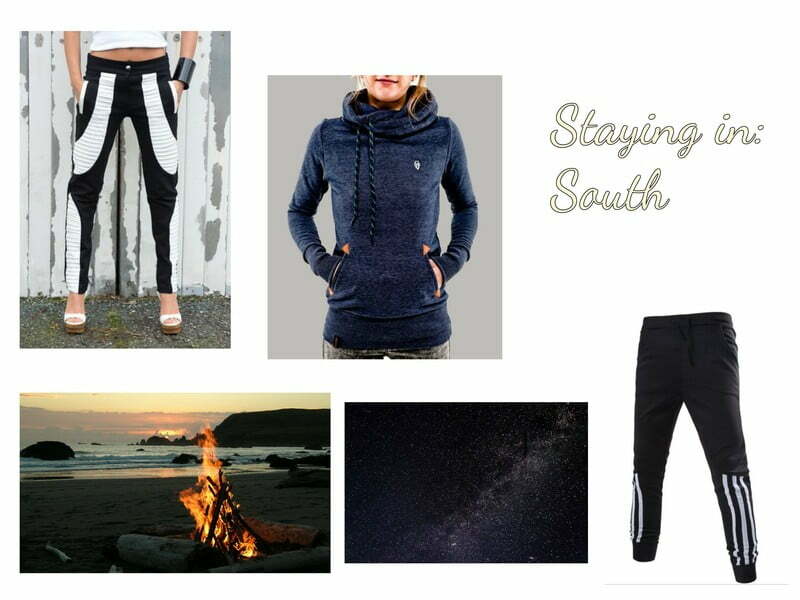 A great staple in your wardrobe for a day out in the south during the winter is a hoodie or lightweight jacket, with just enough material to keep you warm without getting too hot. 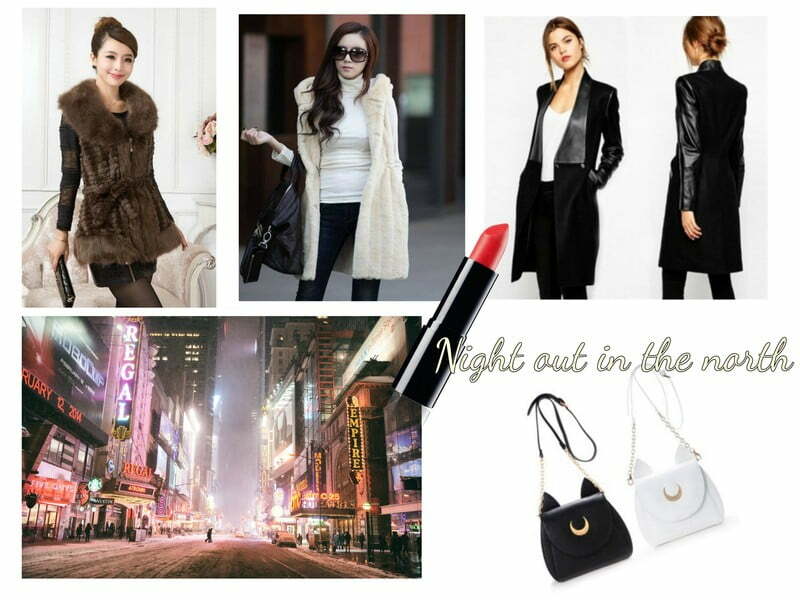 So, you want to look effortlessly glamorous for a night on the town but it’s painfully cold... what do you do? Fabrics that will come to your rescue include velvet, fur, leather, cashmere, and wool. All of these fabrics look beautiful, elegant, and are sure to keep you warm. As far as wardrobe staples, c​oats and jackets​ are your best friend when it comes to going out into the frigid temperatures at night. 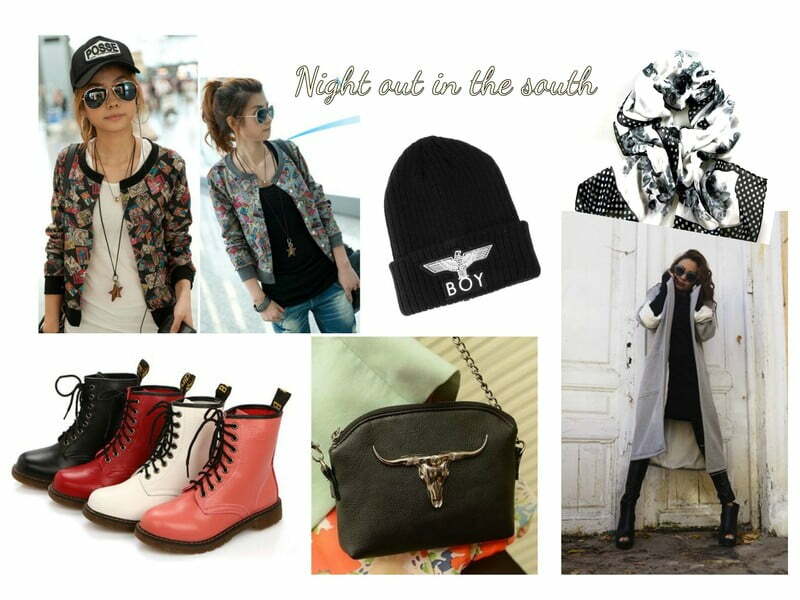 For a special occasion or night out in the south, you’ll definitely be looking to add a layer to your outfit. A cardigan, leather jacket, or lightweight bomber jacket are great additions to a look that will keep you warm, too. Your friends ask if you’d rather stay in and watch a movie instead of going out, and you secretly do a happy dance knowing that you can put on your comfy clothes instead of walking through the snow in heels. 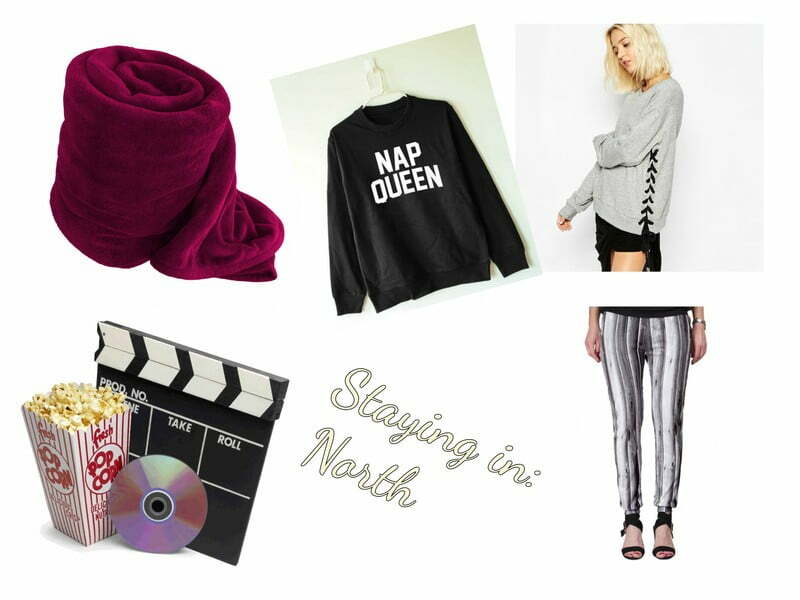 It’s time to pull out your simple, black leggings, sweatpants, chunky sweaters, and blankets for a night in. The perfect cool weather night: sitting by the fire outside in your backyard and watching the stars as it gets darker. Although it’s not as cold as it is up north, you’ll want to bundle up in a printed scarf, jogger sweatpants, and a warm, fleece hoodie to stay snug. What's your favorite fabric to wear for the winter? Let us know in the comments below!